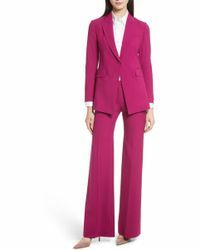 Theory is a modern woman's dream fashion brand. 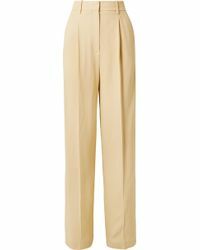 Creating pieces that allow for a hip closet that easily transitions from day to evening Theory's designs are modern, chic and full of innovation. Hailing from New York the brand's aesthetic focuses on clean-lines and contemporary simplicity. 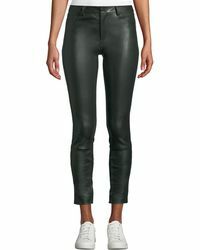 Relaxed leather pants and cropped silk pants are perfect for the woman with an edgy personal style while wide-leg pants and suit pants cater to those with a more traditional look. 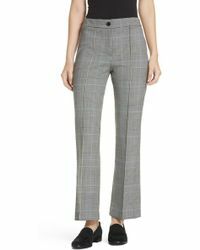 From the office straight to dinner you're sure to look the part when dressed in a great pair of Theory pants. 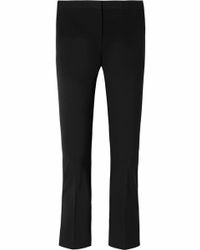 Showing 3,708 results for "Women's Theory Pants"